No jokes today. Instead I am going to be very serious. Safelist Marketing Tactics is back! Hooray! (ok, not too serious). 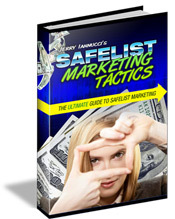 I first wrote Safelist Marketing Tactics way back in 2009 long before I owned Mister Safelist and even before I started sharing my safelist stats. The website has has over 17,000 members and who knows how many thousand more have downloaded it without registering. 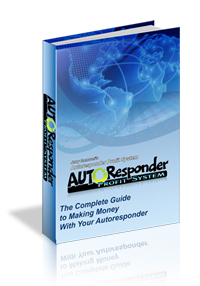 I think it’s safe to say it has become one of the most popular guides to safelist marketing and I have very happy to still be offer to people for free. With the return of Safelist Marketing Tactics I am going to be making a big change to the way I track my stats here on my blog. Instead of tracking the number of sign-ups I receive at Mister Safelist I am going to switch back to building my list with Safelist Marketing Tactics. That means I won’t be promoting Mister Safelist as much in safelists and instead will be promoting it on the back end through the book and in other ways. I will still be buying a lot of paid ads for Mister Safelist but most of my safelist emails will be dedicated to promoting Safelist Marketing Tactics. That means if you want to start promoting Mister Safelist now would be a good time (wink). Ok, let’s get to this month’s stats. The stats below are some of the results from my marketing efforts during the previous month. I’m currently using 40-50 different safelists and viral list mailers to promote my own Mister Safelist. I do have upgraded memberships at most of these sites which often allow me to send my ads more often and to more people than free members. I track the number of people who sign-up to Mister Safelist through the splash pages I advertise in these safelists. I provide these stats only to show what is currently working best for me. Slightly better than last month but next month should be completely different. I started promoting my squeeze pages again last night for Safelist Marketing Tactics and the sign-ups are already coming in. This should give us a lot more data to see which mailers are best for building a list which is what everyone should be doing anyways. That’s it for this month. As usual these stats are the result of my own marketing efforts for the pages I am promoting. To find out what safelists work best for you it is important to track your own ads. You can get the same link tracker I use with a 30-day free trial from trck.me.